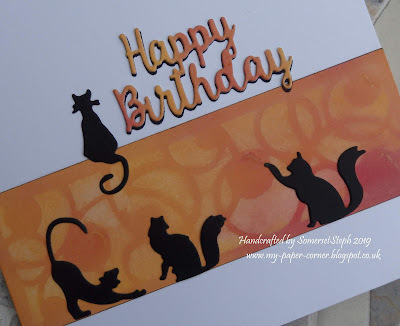 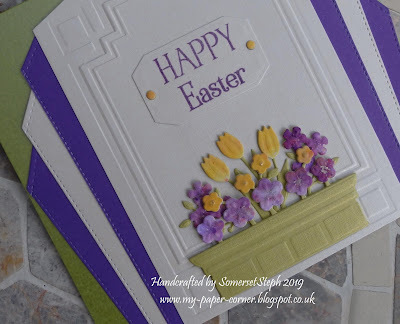 Here are a couple of male cards made recently which I'm sharing with you today. 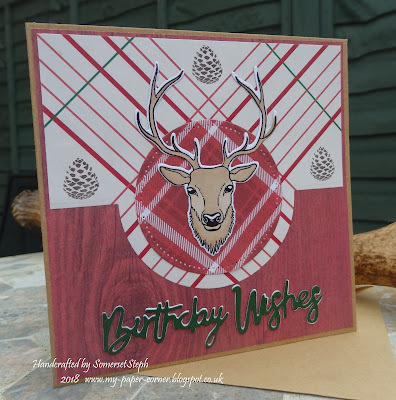 This first one uses a Majestic Stag stamp and outline die that came from a magazine around Christmas time along with some American Craft free patterned papers - just goes to show our crafty buys can be used all year long. 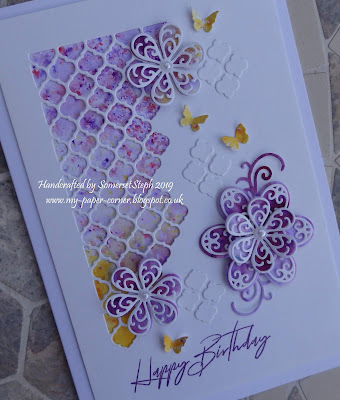 Decided on a DIY theme for my second card using non-DIY dies for all the elements - just hope they look realistic enough. 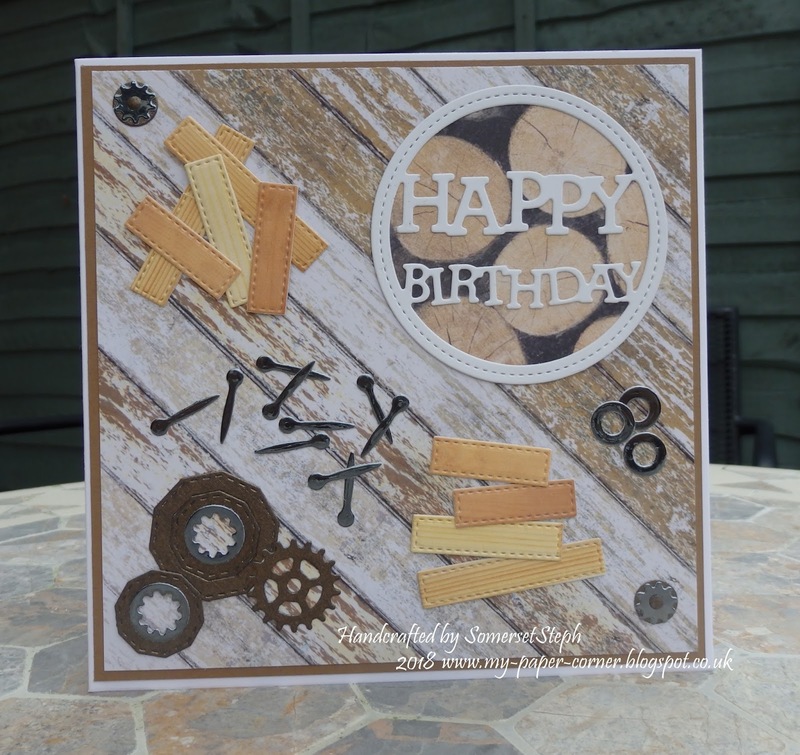 Since taking the photo I added more washers so it didn't look like one of those big birthday numbers!